Have you checked out the new Floating Fortress den in Play Wild? We hope this fun speed decoration inspires you to create your own unique Floating Fortress. Have an amazing Floating Fortress den decoration? Let us know the username in the comments below! What is your den decorating style? Modern? Traditional? HOW MANY FRIENDSHIP ITEMS CAN FIT IN THIS CORNER? So many styles, so little time! Check out this new Speed Den Decorating video over on our YouTube channel for some inspiration and entertainment! The newest Play Wild update is here! 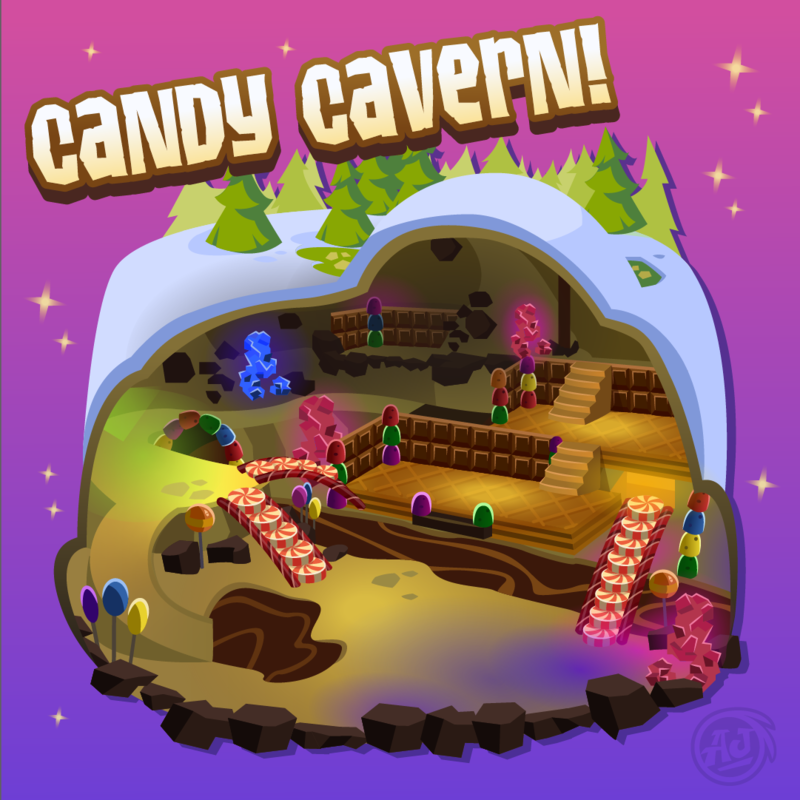 We have just the thing your sweet tooth craves; kick off your Friendship Day with the super sweet Candy Cavern Den! Check out Play Wild today; now available from the Apple App Store, Google Play Store and the Amazon App Store! Play Wild’s Treetop Roost is the perfect getaway for escaping the cold of winter in Jamaa. For some decorating inspiration, visit our YouTube channel and check out the #SpeedDenDecoration of the Treetop Roost!